All signs are that Pope Francis will receive a rock-star welcome as he prepares for his first visit to Africa. 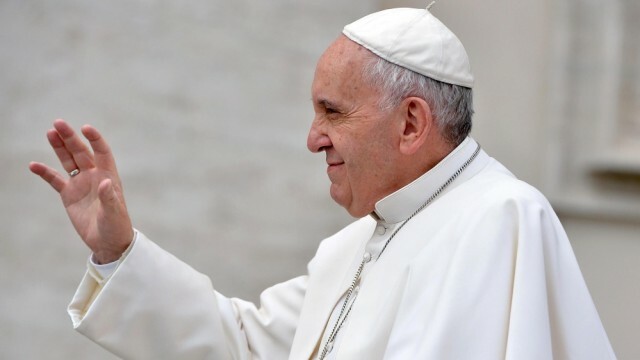 Millions of people across Central and East Africa are already talking about the “historic visit” to the continent, and hundreds of thousands more are expected to turn out to catch a glimpse of the pontiff when he arrives in Kenya, the first stop in his three-country tour. Francis is scheduled to travel to Kenya, Uganda and the Central African Republic (CAR) – a travel itinerary that has raised eyebrows but also endeared him to the region. Father Anthony Gichure, a theologian and Catholic Church expert based in Nairobi, told Al Jazeera the timing of Francis’ trip was important considering the high level of corruption and repeated violent attacks in the country. “By coming [here] he can suggest to us ways and approaches to tackle these problems in a human way,” Father Gichure said. In a visit expected to focus on social inequality, relgious tolerance and co-existence at a time of rising political instability and extremism in the region, organisers have been quick to assert that they have pulled out all the stops in ensuring nothing untoward takes place. Many in the foreign press have referred to Francis’ trip as “his most dangerous” trip to date. “As we welcome the pope, we stand in unity to secure our nation,” CS Joseph Nkaissery, Kenya’s interior minister, said in a message broadcast over Twitter on Monday. There is still some doubt over Francis’s visit to the Central African Republic (CAR), due to the ongoing Muslim-Christian violence and instability in the country. However, all indications are that Francis is determined to make the trip. Interest in Francis’s visit has already dominated social media in parts of the continent, with #PopeinKenya or #TellthePope trending on Twitter, underscoring the keen sense of anticipation among the faithful. On Monday, a new poll published by Infotrak showed that nine out of 10 Kenyans, Catholic or otherwise, were looking forward to Francis’s visit. The poll, conducted between October 3-November 20, had a sample size of 777 individuals representing 19 million adult Kenyans. “Pope Francis’s humility has endeared him to both Catholics and non-Catholics,” Infotrak’s Angela Ombitho was quoted as having said. Likewise, Kenya’s Daily Nation said in an editorial on Monday that a visit “from this particular pope is a moment to savour”. Father Gichure said people of all faiths were looking forward to the visit, ” because they see in him a message of hope, and this message cuts across divisions”. It is a sentiment that Sheikh Khalfan Khamist Ismail, chairman of the Muslim Council of Kenya, agrees with. “We are looking forward to hearing his message of peace. Kenya is a country of many religions and important for the rest of the world,” he said. Gay activists in Uganda have said they hope Francis will address the discrimination of the gay and lesbian communities on a continent where being gay is still a crime in most countries. “I would like the Pope to at least make people know that being LGBT (lesbian, gay, bisexual, transgender) is not a curse,” Jackson Mukasa, 20, a Ugandan in Kampala, told Reuters news agency on Monday. Mukasa was imprisoned in 2014, on suspicion of committing homosexual acts, before charges were dropped for lack of evidence. Last week a spokesperson at the Vatican refused last week to say whether Francis will enter the debate, adding that he is unlikely to go against the wishes of his local bishops. According to a report this year by the Center for Applied Research in the Apostolate, a research centre affiliated with Georgetown University in the US, the proportion of African Catholics in the world population of Catholics increased from seven percent to 16 percent between 1980 and 2012.